The boss of British Gas's parent company Centrica has criticised one of the government's flagship energy efficiency schemes. Sam Laidlaw suggested the Energy Company Obligation (ECO) policy was more expensive while at the same time being less effective than a previous plan in place. Speaking to the Financial Times, Mr Laidlaw, said: "We want to sit down with the government and see whether this is actually the most cost effective way of reducing customers' carbon emissions [and] whether it can be changed to bring down costs." Mr Laidlaw called the current ECO scheme 'complicated' and 'expensive to administer'. The cost of lowering carbon emissions under the current scheme is around £100-£120 per tonne, almost £100 higher than that of an earlier programme known as Cert, which typically cost the firm between £25-30 per tonne. In total, the change to the new scheme have added more than £100m a year to Centrica's costs. 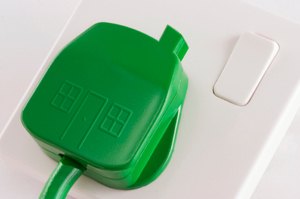 Many power companies have suggested the ECO scheme will be far more than the estimated government figure. Most recently npower predicted the scheme would cost more than £1.8bn a year, far higher than the government's own estimate of £1.3bn a year. Alongside the Green Deal, the ECO programme is designed to help homeowners make their property more self efficient. Whilst the Green Deal offers things such as loans and cashback options on things such as replacement boilers and wall insulation however, the ECO programme is more focussed on helping those from low income households. Unfortunately for the energy firms though, the uptake on Green Deal loans has been somewhat limited, resulting in energy suppliers having to look elsewhere to meet targets. The Department of Energy and Climate Change defended the ECO scheme however, suggesting any comparisons with previous energy schemes was 'nonsensical'. The department said: "The schemes are completely different in design, and the carbon opportunities in the real world have changed hugely over recent years."